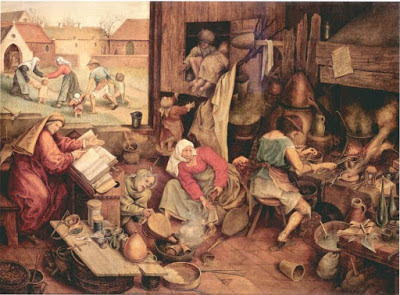 "The Alchemist" 1558, Pieter Brugle the Elder. Mention the word 'alchemist' and the images that spring to mind are likely the same ones that have been around for centuries. Perhaps you will imagine something like Pieter Brugle’s 1558 depiction; a fool, whose head is filled with fantasies of conjuring gold. He spends all his earnings on exotic chemicals while his children go shoeless, the cupboard goes bare and his family starves. No? Then perhaps a more classical rendition; a white bearded mystic stirring a cauldron in a deserted castle, summoning unearthly forces, bending the will of nature. It is true that outlandish characters like these have existed, but as a fringe element at best. For every secluded wizard or "get rich quick" schemer there were many more alchemists who lived otherwise unremarkable lives and went to work every day. They interacted with colleagues and used their knowledge to provide valuable services like making painter's pigments or medicines or refining metals. 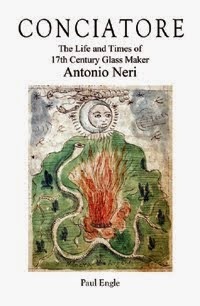 Seventeenth century glassmaker and Catholic priest Antonio Neri fell into the latter category. 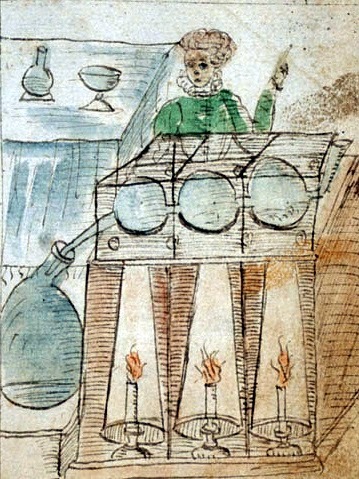 Another departure from the typical caricature of alchemy is that it was very much a plural endeavor; it was practiced not primarily in isolation but by well connected networks of people, at least in late sixteenth century Florence. 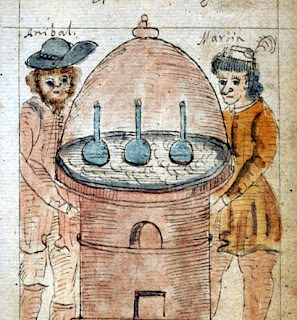 The female alchemists depicted in the manuscript are not specifically identified, but a strong possibility is that they were nuns from one of the nearby convents. These facilities often maintained their own pharmacies and ran cottage industries that produced and sold goods to raise funds. Alchemy practiced by women is an area of study which still needs much research, but it is known that convents used alchemical techniques to distill their own medicinal remedies and produced their own paint pigments. The famous painter Suor Plautilla Nelli resided in the Dominican convent across the street from the Medici's Casino laboratory. Sculptor Suor Caterina Eletta was a nun at the same convent around Neri's time and was the daughter of Stefano Rosselli, the royal apothecary, another profession steeped in alchemy. Her uncle Fra Anselmo ran the Dominican's apothecary at San Marco, literally a few steps from the laboratory's front door. 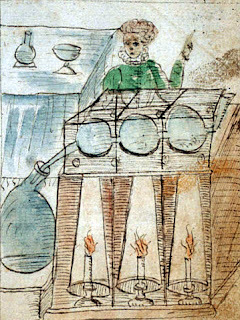 Suor Caterina was surrounded by relatives deeply involved in alchemy, how could she not be familiar with the subject? At Don Antonio's laboratory, the Casino di San Marco, or the Royal Foundry as it also became known, Neri worked closely with Agnolo della Casa, another Florentine of the same age. In fact, all three men, Neri, Della Casa and Don Antonio were all born within a year of each other around 1576. Della Casa took notes on Antonio Neri's experiments in Florence over a period that spanned more than a decade. He filled literally thousands of pages. Much of this material is devoted to transmutation and the philosophers stone, both were subjects dear to Don Antonio de' Medici, their boss. The notebooks also indicate a lively correspondence with other chemical experimenters around Italy and wider Europe. Neri himself carried on a correspondence with his friend Emmanuel Ximenes who lived in Antwerp, a city that would become Antonio's home for seven years. 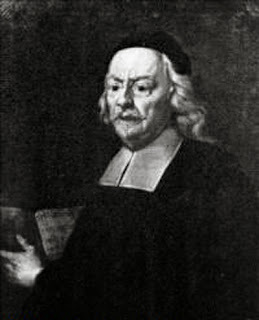 Jacinto became a parish priest a few kilometers east of Florence, but he was pressed back into service as an alchemist after his brother died. He succeeded Ottavio as director of the Royal Foundry under Francesco Redi. Little is known about Jacinto's contributions to chemistry, but it must have been a remarkable life. He saw the germ of experimentalism really take hold; it would continue to grow and become the basis of our own modern science. Jacinto died in 1700 at the age of 99, he was the last surviving member of Don Antonio's band of alchemists and quite likely the last living soul to have personally met Antonio Neri. Neri 1598-1600, ff. 22r, 23r, 24r. Targioni-Tozzetti 1780, p. 127. Don Antonio de' Medici died in 1621. * This post first appeared here on 26 September 2014.